Wear responsibly. 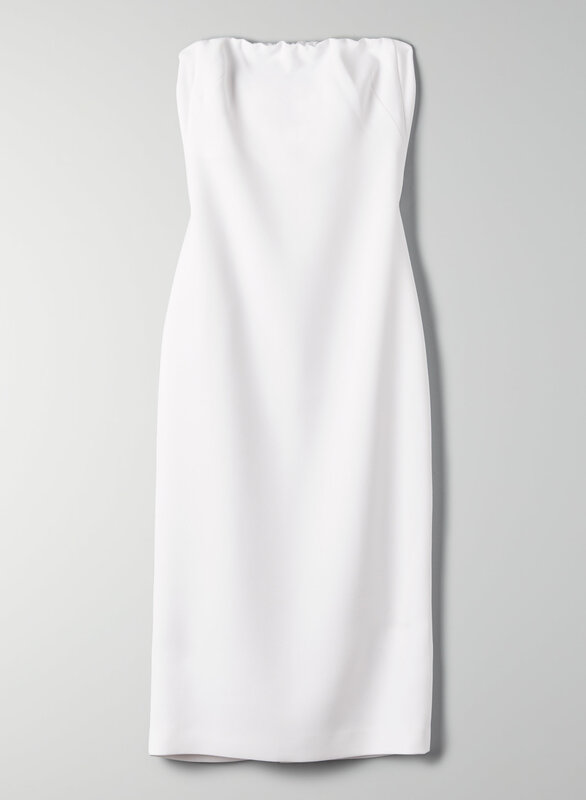 This is a strapless bodycon dress with tailored darts for shaping. It's made with a doubleweave fabric from Japan that hugs the body.